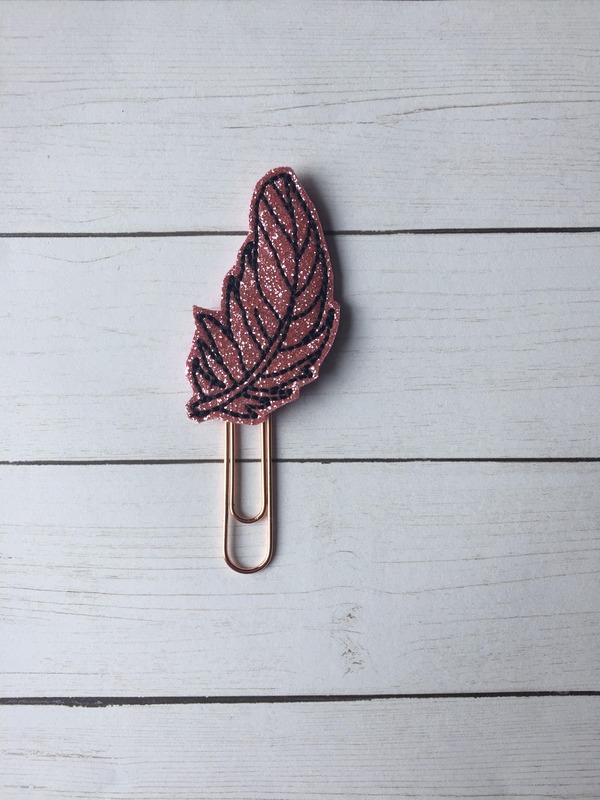 Large paper clip with a glitter vinyl feather embellishment. 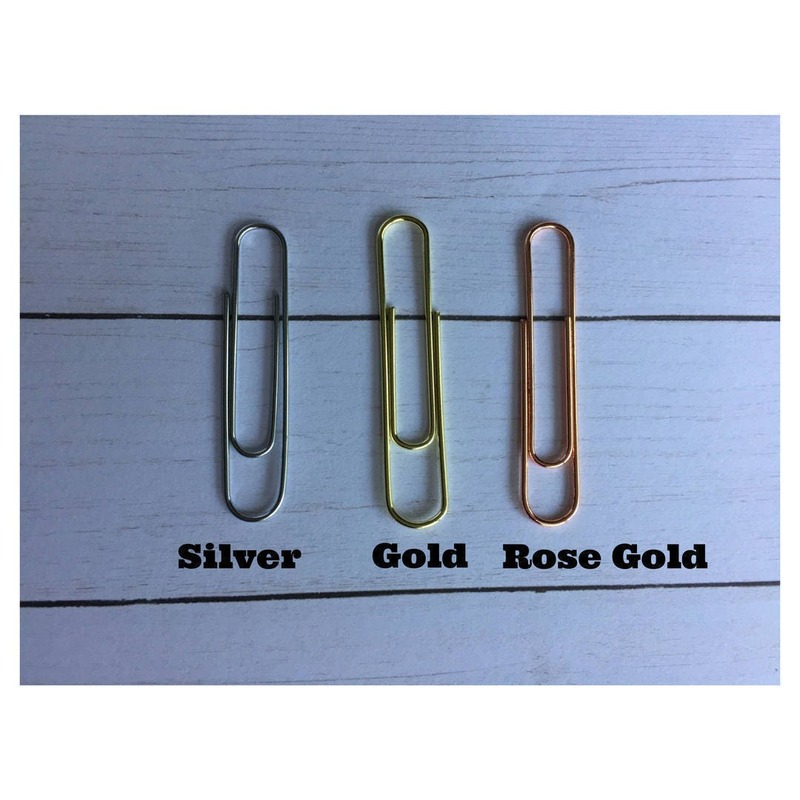 Super cute and well made clips! Fast shipping...will continue to be a repeat customer!